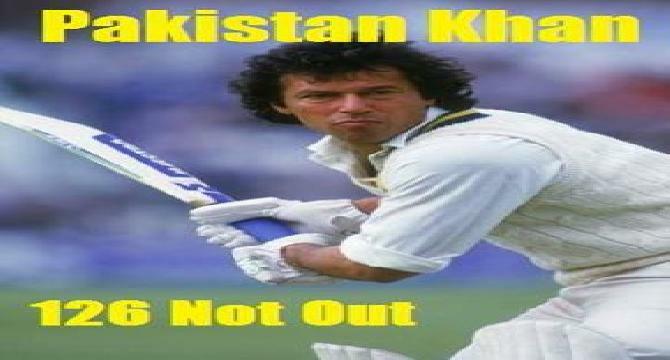 Imran Khan played a very good innings. he stayed 126 days in Islamabad even there was cold weather there was rain and in early days it was very hot in Islamabad but Imran khan stayed and didn't back out until very sad tradegy the Peshawar school incident happens if that was not happen he probably continue his dharna but finally the Imran Khan and PTI core committee decided to end the Azadi Dharna from Islamabad but it still in 126 not out and any time Imran Khan will start his second innings. And second innings may be more powerful than the first innings he played really well(Azadi Dharna). Imran Khan may you leave long you're still in our heart you are Hero. Imran khan is the great person in this world. He was a great cricketer and He is a great leader. therefore, I love Imran khan. dear friend kia ap bta skty han k hum 1 din ma chillkey per kitny article post kr skty han ?? kindly mere article per comment kr k btadain...nice article dear..
Imran Khan is one of the cricket legends of Pakistan. He is the best captain our cricket team ever had!